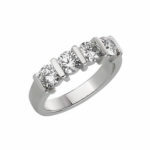 Dress rings are fashionable items of jewellery worn to enhance your appearance. Depending on the design, they may be worn either every day or on special occasions such as cocktail parties, weddings and other functions. They are often given as gifts to make special milestone birthdays or anniversaries. Dress rings may reflect simple elegance by featuring a single coloured gemstone such as an aquamarine. Alternatively, they may add flavour and pizzazz to your outfit with the splendour of several coloured gemstones and diamonds. 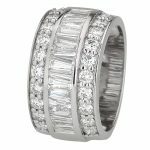 Men’s dress rings are gaining in popularity as more jewellery designers (like the one’s here at Raffini Jewellers) are creating more contemporary rings that fit into the modern man’s aesthetic. 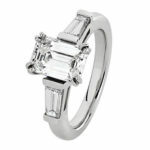 We have a range of rings for men and can also custom design one to suit. 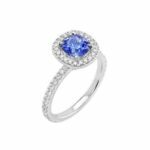 When choosing coloured gemstones for your ring, you may wish to consider specific gemstones associated with birth months or anniversaries. 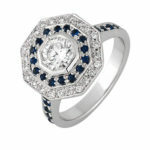 If you wish to give a ring as 5th anniversary gift, for example, sapphires are the perfect choice. 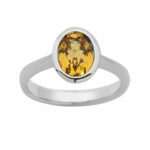 Or perhaps you would like to give a gift of a ring to that special someone whose birthday is in November – a topaz or citrine would be ideal. 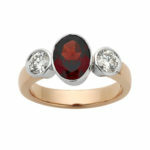 See our Birthstones and Anniversary Gemstones sections for more information.